The Portland Spy Ring was a Soviet spy ring that operated in England from the late 1950s until 1961 when the core of the network was arrested by the British security services. It is one of the most famous examples of the use of illegal residents—spies who operate in a foreign country but without the cover of their embassy. Its members included Harry Houghton, Ethel Gee, Gordon Lonsdale and Morris and Lona Cohen (also known as Peter and Helen Kroger). In 1959, the CIA received letters from a mole, codenamed Sniper (who later turned out to be Michael Goleniewski). :117 Sniper said information was reaching the Soviets from the Admiralty Underwater Weapons Establishment and HMS Osprey at Portland, England, where the Royal Navy tested equipment for undersea warfare. The letters were passed on to MI5, the British security service. Suspicion fell on Harry Houghton, a former sailor who was a civil service clerk at the base. :162-163 He had just bought his fourth car and a house and was also a heavy drinker who would buy rounds at the local pubs. Houghton's expenses were far beyond his meagre salary. MI5 put Houghton under surveillance. They also watched his mistress, Ethel Gee. She was a filing clerk who handled documents Houghton himself did not have access to. They often went to London, where they would meet a man identified as Gordon Lonsdale, a Canadian businessman. :252-253 During these meetings Lonsdale and Houghton exchanged packages. Lonsdale purportedly dealt in jukeboxes and bubble gum machines. He often travelled abroad and was a ladies' man. MI5 promptly put him under surveillance. 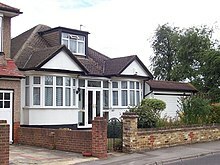 It was found that Lonsdale often went to 45 Cranley Drive, Ruislip in Middlesex to visit an antiquarian bookseller at home, Peter Kroger and his wife Helen. The Krogers were also put under close but discreet watch. On Saturday 7 January 1961, Houghton, Gee and Lonsdale were meeting in London when they were arrested by Special Branch Detective Superintendent George Gordon Smith — as MI5 officers are not authorised to make arrests. :110 Gee's shopping bag contained huge amounts of film and photographs of classified material, including details of HMS Dreadnought, Britain's first nuclear submarine, and the stalling speed specifications of the Borg Warner torque converter. Smith and two colleagues then went to Ruislip to see the Krogers. Claiming to be investigating some local burglaries they gained entry to the house. Once inside, they identified themselves as Special Branch officers and said that the Krogers had to accompany them to Scotland Yard for questioning. Before leaving, Mrs Kroger asked to be allowed to stoke up the boiler. Before she could, Smith insisted on checking her handbag first. It was found to contain microdots, the photographic reduction of documents in order to make them small enough to be smuggled more easily. Smith, a veteran spy catcher, had guessed her intention to destroy these microdots. The microdots found at the Krogers' home were letters sent between Lonsdale and his wife, who lived in the USSR with their children. These included things like money matters and how the children were doing at school. Kroger had used the print in his antique books to hold the microdots and smuggle them between Britain and the Soviet Union. These would have included the secrets passed on by Houghton and Gee. The Kroger house was full of spying equipment, including large sums of money, photographic material, code pads for coding messages and a long-range radio transmitter-receiver for communicating with Moscow. It took several days to unearth all the equipment, and other items including fake passports were not found until after the police had left. The MI5 intelligence officer Peter Wright stated that the Krogers' radio transmitter was only located after nine days of searching. Over the years, during subsequent renovations, several other radio transmitters were unearthed. Large amounts of money were also found in the homes of Houghton, Gee and Lonsdale. Two days after their arrest, all five were charged with espionage at Bow Street Magistrates Court. Gee and the Krogers protested their innocence; Houghton tried to turn Queen's Evidence but was refused; Lonsdale maintained complete silence. The trial began on Monday 13 March 1961. In giving evidence, Gee claimed that as far as she knew, Lonsdale was Alex Johnson, an American naval Commander who wanted to know how the British were handling information passed on by the United States. She had had no idea that the information was actually going to the Russians. She had gone along out of love for Houghton, her first lover after a lifetime of spinsterhood. Houghton claimed that he had been the subject of threats by mystery men and beatings by thugs if he failed to pass on information. These men had also made threats concerning Gee and Houghton's ex-wife. He too, he claimed, had only known Lonsdale as Alex Johnson and he tried desperately to minimise Gee's involvement. Neither Lonsdale nor the Krogers took the stand, but in statements read out in court, Lonsdale took responsibility. He claimed that the Krogers were innocent: he had often looked after their house while they were away and had used it to hide his spying equipment without their knowledge. Peter and Helen Kroger backed up this claim, saying that Peter was simply an antiquarian bookseller and Helen a housewife. However, they could not explain why fake Canadian passports with their photos were found in the house, and clearly intended for a possible get-away. The jury returned verdicts of guilty for all of the accused. Superintendent Smith then took the stand. He announced that through their fingerprints, the Krogers had been identified as Morris and Lona Cohen, renowned spies who had worked with Ethel and Julius Rosenberg, Rudolf Abel and David Greenglass in the United States. Smith also revealed Cohen's past life in the military and scholastic service. Lonsdale remained a man of mystery in spite of extensive inquiries by MI5, the FBI, the Royal Canadian Mounted Police and other Western intelligence services. They were convinced that he was Russian and a member of the KGB, but so far his past could only be traced back as far as 1954 when he had first appeared in Canada. Houghton and Gee were sentenced to 15 years in prison. They were released in 1970 and married the following year. The Krogers (i.e. the Cohens) were sentenced to 20 years. In 1969, they were exchanged for the British citizen Gerald Brooke, who had been arrested by the Soviets. As part of the process the Soviets confirmed that they were spies. Lonsdale, the mastermind, was sentenced to 25 years. In 1964, he was exchanged for the British spy Greville Wynne, who had been arrested in the Soviet Union. His real name was revealed to be Konon Trofimovich Molody. It is believed that the ring numbered more than the five who were arrested, but these would have included staff at the Russian and Polish embassies who would have been immune from prosecution anyway. The events were used in the movie Ring of Spies (aka Ring of Treason, 1964), directed by Robert Tronson and starring William Sylvester as Gordon Lonsdale and Bernard Lee as Henry Houghton (Lee was M in the early James Bond films). Hugh Whitemore's stage play Pack of Lies concerns the relationship between the Krogers and their neighbours, whose house was used as a base for British security officials investigating the Krogers in the months leading up to their arrest. It has received several major productions in London and New York. In 1987, the play was made into a CBS television drama starring Teri Garr, Alan Bates, and Ellen Burstyn, though the name "Kroger" was changed to "Schaefer". It was also broadcast as BBC Radio 4's Saturday Play on 9 September 2006, starring Ed Begley, Jr. as Peter Kroger, Teri Garr again as Helen, Alfred Molina as their neighbour and Michael York as the man from MI5. It was directed by Martin Jarvis. A television movie drama Longford was shown on Britain's Channel 4 on Thursday 26 October 2006. When Frank Pakenham, 7th Earl of Longford first visits Myra Hindley at Holloway Prison, it is announced that Helen Kroger and Ethel Gee are also expecting visitors. The Spy Game by Georgina Harding uses the Krogers and their cover as a harmless and typical suburban couple as background to her novel, published in 2009. ^ "Heritage coast news - Portland spies". Cyberport Project Ltd. Archived from the original on 5 March 2004. Retrieved 15 November 2018. ^ a b c d R. C. S. Trahair & Robert L. Miller (2013). Encyclopedia of Cold War Espionage, Spies, and Secret Operations. Enigma Books. ISBN 9781936274253. Retrieved 15 November 2018. ^ John Costello (1993). Deadly Illusions. Crown Publishers Incorporated. p. 277. ISBN 9780517588505. Retrieved 15 November 2018. ^ Harry Houghton (1972). Operation Portland: The Autobiography of a Spy. Hart-Davis. pp. 4 & 123. ISBN 9780246105486. Retrieved 15 November 2018. ^ Norman Lucas (1973). Spycatcher: a biography of Detective-Superintendent George Gordon Smith. W. H. Allen. p. 102. Retrieved 15 November 2018. ^ Alan Burton (2016). Historical Dictionary of British Spy Fiction. Rowman & Littlefield. p. 325. ISBN 9781442255876. Retrieved 15 November 2018. Spy Ring, the full story of the naval secrets case, by John Bulloch and Henry Miller, 1961. The War Within by Clark Comer, 1961. Operation Portland, the autobiography of a spy by Harry Houghton, 1972. Spy, memoirs of Gordon Lonsdale by Gordon Lonsdale, 1965.